Multiple possibilities of connecting: box lug, ring tongue terminal. 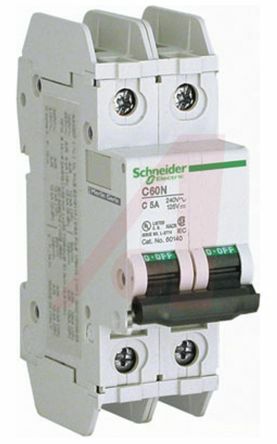 (MCCBs) and also air circuit breakers (ACBs). 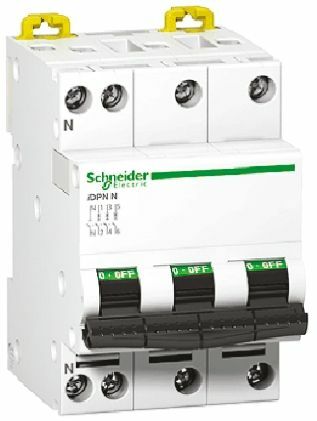 iDPN is a neutral breaking miniature circuit breaker used to protect the wires and equipments in the circuit. VisiSafe for safe operation and maintenance work on circuitsVisi-Trip detects faulty Miniature Circuit-Breaker outgoers quickly and reduces intervention timeClass-2 insulation. Wide range of MCBs D curve for high inrush loads, 10 - 14 times ampere rating. Ampere Ratings: From 0.5 to 35 APositive Indication of Contact DisconnectDIN Rail Mount.